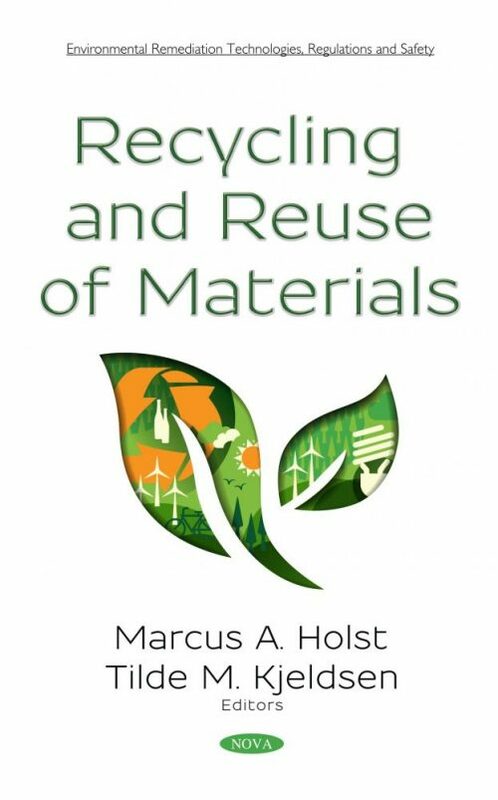 Recycling and Reuse of Materials begins by discussing the production of glass and ceramic products on the basis of recycling of decommitted products and residuals. Examples are given for production of foam glass, porous ceramic bodies and ceramic pigments from wastes and residuals originated from the same sector. The authors provide a comprehensive description of the recent trends and incoming approaches for creation of environmentally-friendly concepts for further development of the glass and ceramic industrial sectors. In the following study, options for conserving the functionality of geochemically scarce elements associated with aluminum life cycles are reviewed, including but not limited to changes in the diversity of Al alloys and in the composition of aluminum alloys and coatings. Lastly, the authors describe the manufacturing of an ecological ceramic tile, containing high percentage of industrial waste or sub-products coming from the ceramic and the recycled glass sector. The addition of these subproducts was performed in the three layers of the ceramic tile.